From down Water Street in St John's, it looks just like an empty flagpole. But closer inspection of the vertical mast protruding from the unremarkable building reveals its true purpose. Yet closer investigation reveals an even more fascinating story. 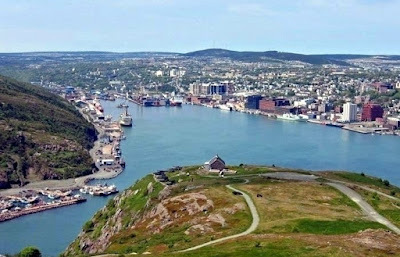 It must be remembered that St John's and many ports in Newfoundland (then still a British dominion) played a vital role in WWII supplying warships and merchant vessels sailing in the critical Atlantic convoys. As such, German U-Boats lay in wait in the waters off the coast, reaping havoc for the entire six years. 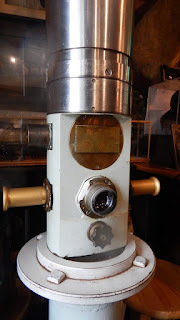 On the evening of 15 April 1945, just three weeks before the end of the war in Europe, the little Canadian minesweeper and anti-submarine ship, Esquimalt, sailed from Halifax to go on routine patrol. 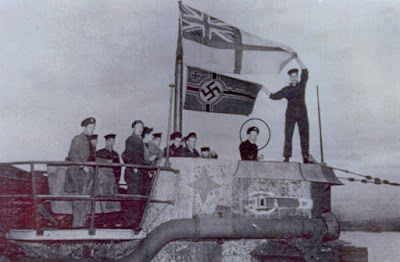 Unknown to the Canadians, the German submarine U-190 saw them and in their rush to escape fired a torpedo at Esquimalt, scoring a direct hit. The little ship sank in a matter of minutes and half her crew of 83 died, most from exposure in the freezing waters. U-190 spent the next days on patrol until they received news from Germany of the surrender when her commander, the 25-year-old Hans-Erwin Reith, raised the white flag and formally handed his boat to the Canadian Navy. 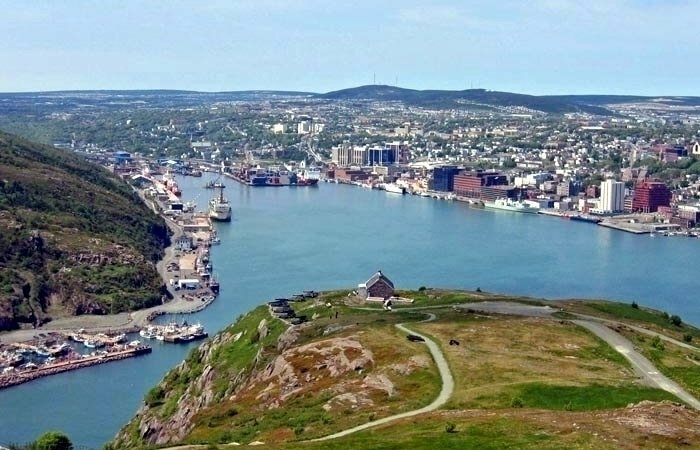 After being escorted back to Newfoundland, the submarine remained as a trophy and training vessel with the Canadian Navy until it was scuttled in spectacular fashion two years later. 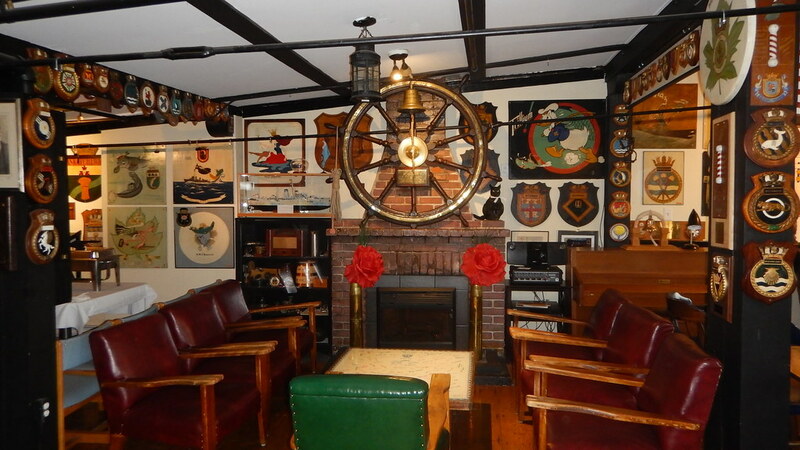 conning tower is now a fixture in St John's Crow's Nest Officers Club. Before being sent to the bottom, officers salvaged numerous items, including the periscope which was installed in their clubrooms in St John's. The Crow's Nest Officers Club, as it is still known, was founded in 1942 as a place were officers from the many ships then gathering in the harbour could mix, talk freely and drink. Today, visitors are permitted to venture up the rickety stairs to the semi-secret doorway in what was a pre-war warehouse. 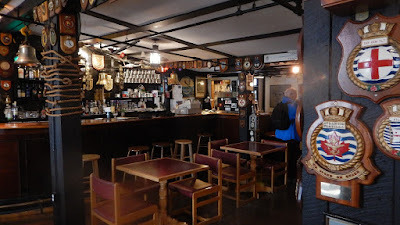 Inside the club, walls are bedecked with all manner of memorabilia: photos, flags, hats, plaques, model ships and items salvaged from various vessels including U-190.